Biography: Bulent Emin Yarar was born in Ankara. Since his childhood, he has been interested in theatre. After graduating from Mimar Sinan University, he started to work at Diyarbakir State Conservatory and then worked at Istanbul State Conservatory during 1994-1995. He took part in various theatre plays including Balkon (Jean Genet) at Tiyatro Studyosu, Cyrano de Bergerac at Tiyatro Studyosu, Ermisler ya da Gunahkarlar at Oyun Atolyesi, Mem ile Zin at Semaver Kumpanyasi, Cayhane ve Mufettis (Gogol) at Istanbul State Theatre, Oyun Sonu at Dostlar Tiyatrosu, and so on. He became popular with his role as teacher Kemal in popular Turkish drama Those at the Back Desks (Arka Siradakiler). Bulent Emin Yarar also gives lectures at Kadir Has University. Biography: Olgun Toker was born in Mersin in March 12, 1986. While he was going to high school, he started to draw caricature for a regional newspaper. While he was studying at Mujdat Gezen Conservatory, he started his acting career. 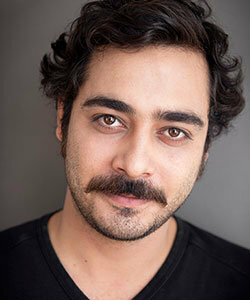 Olgun Toker took part in various movies and tv series but he became very popular with his role Mahir in popular Turkish drama Life Song (Hayat Sarkisi). Biography: Baris Aytac was born in Ankara in December 8, 1985. While he was studying at TED Anakra College, he started to be interested in theatre. Baris Aytac loves animals so much and owns a cat named Kutti. Education: Istanbul St. George’s Austrian High School (Istanbul Avusturya Lisesi); New York Davidson College Theatre and Economy (2004); Gaeity School of Acting and Irish Film Academy. Biography: Kenan Ece was born in Dubai, UAE in December 24, 1980. While he was going to university, he took part in various theatre plays in New York. After graduation, he worked as financial analyst in Ireland for 2 years. He also studied at Gaeity School of Acting and Irish Film Academy while he was working at the energy company. Kenan Ece decided to pursue his acting career and quit his job at the energy company. He worked at Ireland State Theatre The Abbey for 3.5 months. Kenan Ece returned to Istanbul in 2009. Biography: Haluk Bilginer was born in June 5, 1954. He won his first award at Demokrat Izmir Gazetesi high-school theatre competition. After graduating from State Conservatory, he started to work at Ankara State Theatre. In 1977, he went to UK in order to study at London Academy of Music and Dramatic Art. He took part in various tv series and movies in UK between 1980 and 1993. He came to Istanbul in 1987 in order to shoot the movie of Gecenin Oteki Yuzu and met his first wife Zuhal Olcay. He founded Theatre Studio (Tiyatro Studyosu) together with Ismet Levendoglu and Zuhal Olcay in 1990 and also founded Play Studio (Oyun Atolyesi) together with Zuhal Olcay in 1999. He took part various theatre plays such as Aldatma (Harold Pinter), Kan Kardeşleri (Willy Russell), Derin Bir Soluk Al (Ben Elton), Copluk (Turgay Nar), Histeri (Terry Johnson) ve Balkon (Jean Genet). Biography: Timur Acar was born in Germany. Originally, he is Georgian origin. After graduation from Dokuz Eylul University, he started to take part in theatre play named Peevish Girl (Hircin Kiz) at Oyun Atolyesi. Then, he acted the theatre play named Testosterone (Testosteran) for 5 years. He became very popular with his role at popular Turkish drama European Side (Avrupa Yakasi). Timur Acar loves riding a bicycle and sking. Biography: Levent Ulgen was born in Konya. After graduating from METU Physics he started to take part in Ankara public theatre and Ankara Art Theatre. While he was taking part in various theatre plays, he started to study at Hacettepe University Conservatory. After graduation, he started to work at state theatres as actor and as director. 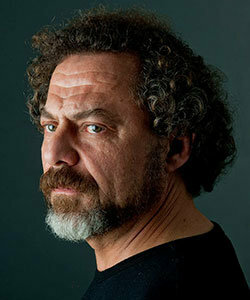 Levent Ulgen became so popular with his role Kadir at popular Turkish drama Fathers Last Hear (En Son Babalar Duyar).